Guidelines in English for managing late-onset diabetes. Includes information about getting checked, hypoglycemia (hypo), hyperglycemia, blood sugar, diabetes testing and insulin. Taking care of my diabetes helps me stay well. Diabetes is when you have too much sugar in your blood. Some adults who develop diabetes may have no symptoms. People who think they may have diabetes should see their doctor or nurse. If diabetes is not treated, it can lead to damage of the heart, eyes, feet, kidneys and other parts of the body. are Māori or Pacific Island. There is no cure for diabetes. But there are things you can do to stay well. Your doctor or diabetes nurse will teach you how to keep your blood sugar at a healthy level and to keep healthy. eating healthy food, exercising regularly, having insulin injections and taking tablets. Eating the right foods helps to keep your blood sugar under control. You don’t need to make special meals – the food that is good for you is good for all the family. It’s good to eat three regular meals every day. Watch out for sugar and fat. Too much of these is bad for you. 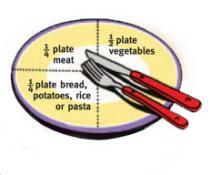 Your dietitian, doctor or nurse can help you with your eating plan. They will tell you HOW MUCH of each food you can eat, and HOW OFTEN. They will also give advice about alcohol. kamo kamo, pumpkin, zucchinis, peppers, asparagus, marrow. fruit, eg, raw fruit, or fruit that is stewed or canned without sugar. meat with fat cut off, chicken without skin, fish, egg, split peas, lentils, baked beans, bean salad. cottage cheese, other low-fat cheese. use only small amounts of margarine, avocado, peanut butter, cooking oil, nuts (dry roasted). sweet drinks, soft drinks and juice. other fatty food, eg, butter, meat with fat on, fatty bacon, sausages, saveloys, pastries, coconut cream, croissants, gravy, mayonnaise, dripping, lard, kremelta. Try steaming, boiling or microwaving food. If stewing meat, leave it to cool and skim the fat off before serving. Regular physical activity helps lower blood sugar. It can also make you feel better and sleep better. Discuss your plans with your doctor BEFORE you start to exercise. Walking is a good type of physical activity. So is swimming, cycling or jogging. Start with just a few minutes each day. Then gradually build up to 30 minutes of physical activity four times a week. If you are on insulin, carry glucose when you exercise, in case your blood sugar drops. If you are on tablets, check with your doctor or nurse to see if you should carry glucose when you exercise. Try to keep active with other activities such as gardening, bowls, kapa haka, mau rakau, mowing lawns, dancing, kilikiti, family walks, waka ama, gathering kai moana. Diabetes can lead to foot problems. Keep nails trim and smooth, avoid going barefoot, wear comfortable shoes and socks that are not too tight, moisturise feet and legs regularly, and keep your feet out of hot water. Corns, dry cracked heels, thickened toenails, athlete’s foot, etc, should be treated by a podiatrist. Ask your doctor, nurse or podiatrist to check your feet regularly. People with diabetes need to stay at a healthy weight to control their diabetes. Your doctor, nurse or dietitian will advise what is a good weight for you. Regular exercise and eating healthy food will help keep you at a healthy weight. Maintaining a balanced blood sugar level is important to keep well. Your doctor or nurse will teach you how to check your blood sugar level. A healthy blood sugar level is between 4–8 mmol/L. Blood sugar can sometimes drop to very low levels (eg, below 4) in people who are on certain types of tablets or insulin. This can cause a “hypo” which can make you pass out, if not treated quickly. Some people get warning signs of a hypo. Other people do not. pins and needles in the lips and tongue. If you get one or more of these warning signs you need to treat your hypo quickly. Wait 5 to 10 minutes. If you still feel hypo, repeat the treatment. After 10 to 15 minutes have a meal if it is due, or a snack. Sometimes the blood sugar level rises above normal (above 8). being sick, having an infection or fever. getting infections, or infections that do not heal. Or you may not get any warning signs. It is okay if your blood sugar level rises occasionally and if it lasts just a few hours, but if it’s not managed, it can be dangerous. See your doctor or nurse if your blood sugar rises often or lasts for a long time. They will help you find out why your blood sugar level keeps rising. They will also help you manage your sick days. People with diabetes should see their doctor or nurse regularly. Make an appointment with your doctor – or the doctor’s nurse – for your free check. that your eye checks are up-to-date. If at any time you are worried or do not feel well, get checked by the nurse or doctor right away. This booklet is available in English, Māori, Samoan, Cook Islands Māori, Tongan and Niuean. These, plus Tokelauan and Fijian versions, are all available on these Ministry of Health websites www.health.govt.nz or www.healthed.govt.nz or by calling your local District Health Board in the medical white pages of the telephone book or your local hospital. * Check with your doctor. Not all doctors offer this free service.